If you look hard enough, you will find what you don't expect. 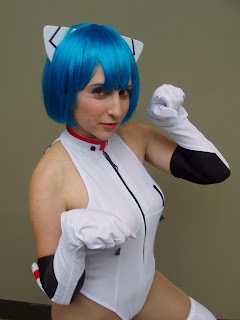 I can't remember what I was researching for my Friday cosplay blog, but I did come across this. I actually have these figures showcased them on a past blog. These are anthropomorphic versions of Rei and Asuka. I was kind of taken back by this as I wasn't sure anyone would do these as cosplay. I found Rei first, so she will be showcased this week. I was able to find some ladies who did Asuka and you will see her next week. What I thought was neat was that some of them even did the accessory for the cosplays. Here you will see the red beast (Adam?) on her ankle. What really got me caught in this cosplay net was that Alodia herself also did this figure. 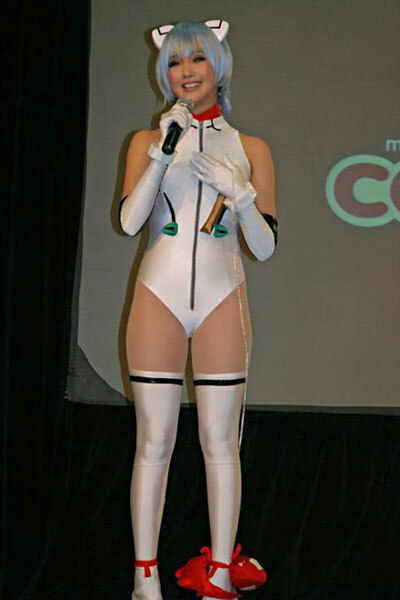 Really shows you how much this figure meant to her to cosplay it and at the Madman National Cosplay Championships. Let me know which of these ladies are your favorite? We are also always looking for our NEXT COSPLAY STAR, so drop me a line a bluedrakon (at) gmail (dot) com! I love Rei and certainly my fav EVA character. 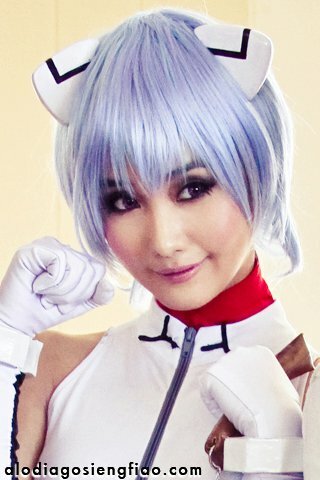 Most cute and pretty but so far not seen any cosplayers who is able to bring out the Rei from the anime. One vote for Angel Hitomi!